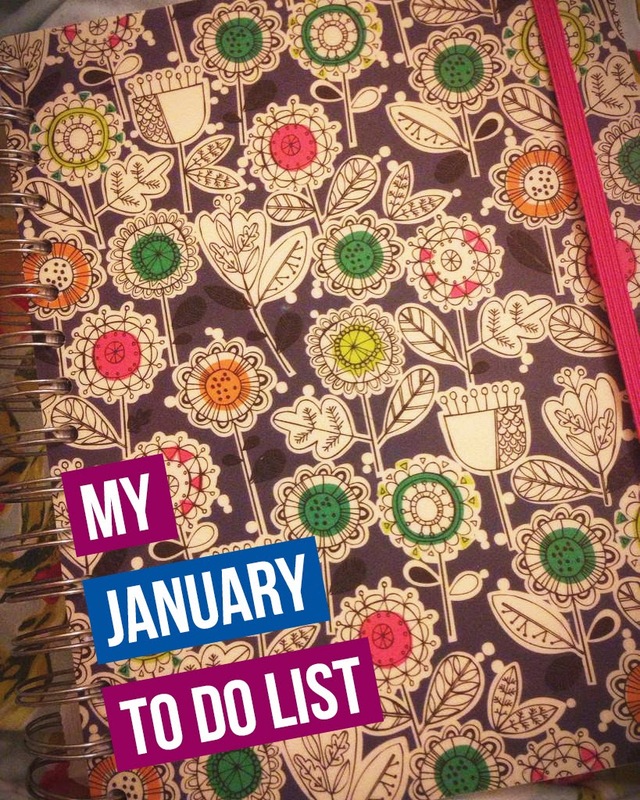 Today’s post is going to be about a few things I would like to hopefully get done / achieve during January! So apologies, that this is probably going to be quite a wordy post! But I thought I would share it with you anyway, just in case you want to do some of the things that I hope to do! Plus, I am also writing this so that I also remember my to do list. Some are probably cliche, and tasks that everyone is thinking of doing because of the New Year, but that doesn’t mean I wouldn’t like to do them! Some things are easy and some are harder than others, so maybe I am being a bit ambitious to plan on doing this whilst working 6 days a week, but who doesn’t love a good challenge in life! 1 – Get my hair cut. I meant to get this cut whilst I was home for Christmas, but with it being Christmas and New Year it meant that the hairdressers were open for limited times making it hard to get an appointment. And my hair needs some SERIOUS TLC. So if anyone has any recommendations for any hairdressers in Leeds I would be really grateful! 2 – Visit the doctors. Another thing I have been meaning to do for a while, I have been suffering with headaches for quite some time now, and I have never been to the doctors about it, but I would like to get this seen this month! I always have excuses for example, I can’t go because I am so busy etc etc and working, but seriously what is more important than your health? So I am going to get my appointment booked in ASAP. Now, this is more personal but something I am really guilty for and I am probably not the only one…. I haven’t been measured since I was like 14, and currently all my bras definitely do not fit me properly, they are all SO uncomfortable. I thought I knew my size but I really don’t… I am getting serious back ache from bras being too tight I think! Ouch.. So this is a much needed chore, but I guess a daunting one which is why I have put it off for so long. 4 – Drink MORE water. I already drink a fair amount of liquids, particularly flavoured water. But I would like to drink MORE. 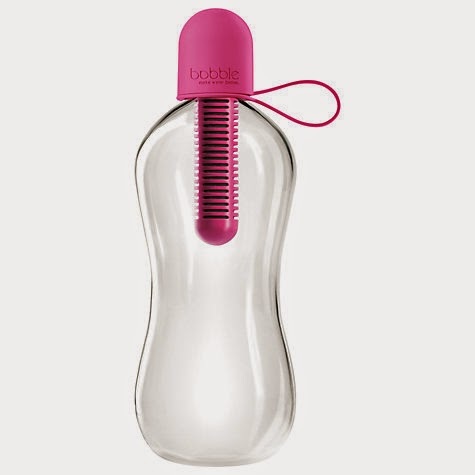 I plan on getting into plain water, I have purchased one of these Bobble filter water bottles from John Lewis, and I should be able to collect it tomorrow! Yippeeeee. Photo credit to John Lewis. 5 – Read at least 4 books. I really do love reading, I expressed my reasons why in my last post, which you can click to find here. I have already completed one, ‘Before I Go To Sleep’ which I loved, and was totally hooked on, it may even appear on the blog soon so stay tuned! I hope to read 3 more this month, which shouldn’t be too hard, I hope! 6 – Write daily in my happy book. I previously spoke about ‘my happy book’ in a previous post, which you can click to find here. (Sorry for another promo) But basically it is a book I used to use earlier last year in order to write down the positive things that happen during my day. Thus focusing on the positives in my life rather than the negatives. ANYTHING positive in my day, I will write in my little book. Even if it is so small, it all adds up! With it being January, and Christmas holidays being over / being back to work, January is often a month that people often feel depressed. So I think I am going to get my happy book out again! 7 – Get back in the gym. Not only have I eaten serious amounts of food this Christmas, but I noticed something when I walked to work today. I was completely breathless, just on my everyday walk to work, and I wasn’t even walking fast, at all. This is quite terrifying, and basically I would like to up my fitness and stamina again, so I don’t feel so sluggish. I haven’t been to the gym since August. OPPS. Which is such a waste of the free gym membership I get from work. I plan on going tomorrow, even if it is just for 20 minutes, it’s a start! 8 – Keep an eye on my budget. 9 – Have a clear out of my room. I really really need to have a clear out of my room, I have so many things that I haven’t touched since moving to Leeds for university, and thats 2 and a half years. So do I really need all the clutter I have in my tiny tiny university room? No. So I plan on having a clear out and giving some of the bits that are in okay condition to charity. 10 – Reach 450 Bloglovin followers. This would just be super super cool, I absolutely adore all of the support I get off of you lovelies, and I am so happy you enjoy reading my blog! 11 – Get more into Youtube. I really plan on upping my Youtube game this month, or even the next coming months. (I have a vlog that I still need to edit, probably instead of this blog post actually!) But I would like to do some more vlogs, and maybe a ‘main channel’ style video. And potentially reach 25 subscribers, because that would be pretty awesome. 12 – Organise a ‘Northern’ Bloggers Meet Up. So these are just a few things I would like to get up to this January! I hope to inspire you do something similar! What things do you hope to achieve this month? I can relate to some of your goals! I need to clear out my room desperately as well, I love the idea of a happy book. I just read your other post about it, I might have to try that one to help myself! This is a great list! I fully support you on YouTube, I'm obsessed with watching Vlogs. You to do items are really thought out so I'm sure you'll have no issue in completing them. cheap chuckled and said the ray ban outlet online teacher, your own in this hot ray ban outlet online day, hot and stuffy, the skin can be bad. ray ban outlet online What. cheap ray ban sunglasses online outlet is a language teacher, it is an ordinary person, so with the idea of ordinary people she felt it impossible. Yes ah, I always feel that the recent face is dry again. ray ban outlet online outlet http://www.miraclemolecule.co.uk touched their cheeks. I'm totally with you on no. 3 girl! Apparently my boobies have now become far too fabulous or what my current bras an accommodate haha!